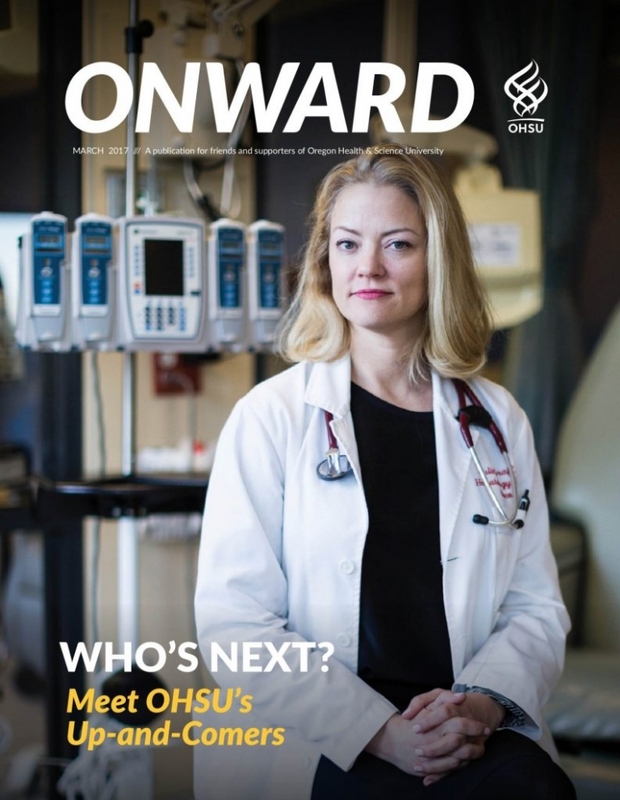 On the cover of OHSU’s magazine Onward, Dr Julie Graff. She treats patients and leads a research study that has provided the first-ever evidence that immunotherapy can slow life-threatening prostate cancer. When we started the study, we had no idea if this treatment would work at all. So it was exhilarating when our first patient went from having PSA levels of 80 to undetectable. (PSA stands for prostate-specific antigens, which become elevated in men with cancer.) We thought, this is a fluke. And then it happened four more times. It’s been amazing and the patients are extremely appreciative. I am grateful to the men who agreed to take a chance and participate in our clinical trial. Read more about Dr Graff’s groundbreaking work with cancer and immunotherapy here and here.